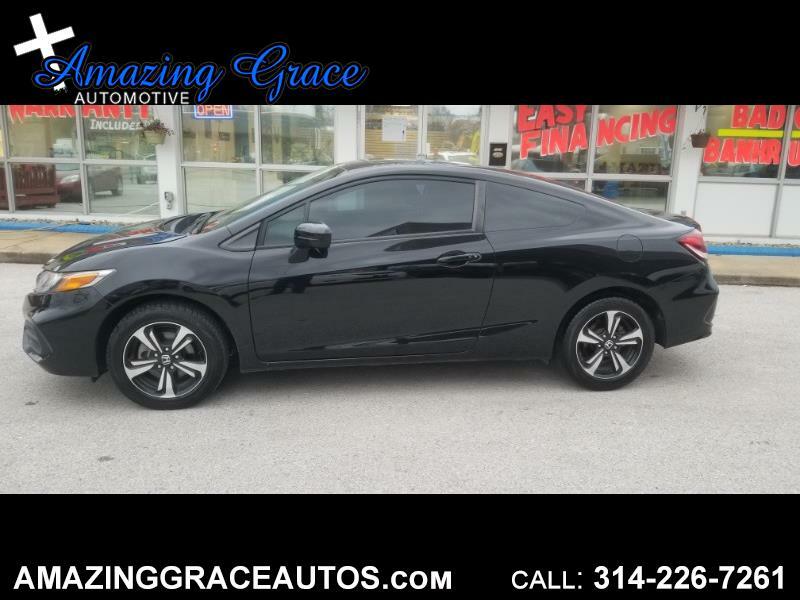 You are looking at a beautiful 2015 Honda Civic EX Coupe! This little 5 speed gets up to 39 mpg! This Civic is in excellent condition! **One Owner**Non Smoker** If you are looking for an almost new car, without the new car prices, you may have just found it! A+ Condition! This 5 speed manual is so easy to drive. The shifting pattern is small and so smooth. This Civic is powered by a strong and fuel efficient 1.8L 4 cylinder that is paired with a very smooth shifting 5 speed manual transmission. Tons of great features like: Power Moon Roof, Touch Screen Stereo, Back Up Camera, Premium Alloy Wheels, Aux Port, HDMI Outlet, Lane Watch Blind Spot Indicator, Traction Control, Stability Control, 4 Whel ABS Brakes, Alarm System, Keyless Entry, Remote Start, Cold AC and Hot Heat, Cruise, Tilt and Telescoping Steering, AM/FM/CD/MP3, Premium Sound, Bluetooth Wireless, Honda Link, Front and Side Impact Airbags, and so much more!
? Rates as low as 3.69% With Approved Credit -NO PROBLEM ? Credit Union financing! -NO PROBLEM!! ? Good Credit , Bad Credit, No Credit OK--NO PROBLEM Call or Text anytime to set up an appointment! Every Car on the lot comes with MO State Safety and Emissions with a 30 Day temp tag Free of Charge!!! Also a 12 MONTH or 15000 Mile Power Train Warranty on all Qualifying Units, Also Extended Warranties can Be Purchased at Any Time..... The Internet Price is the Cash Price only, Does Not Include Tax, Title and Fees!